Allegories of Opposition engages with the subject of politics and sport philosophically. The group of works highlight the fluidity of social structures and notions of leadership and ambition. Each of the four large-scale drawings in mixed media on paper are based on a series of invented dialogues between eight politicians and sportspeople. Ian Potter Museum, Melbourne. 2012. Allegories of Opposition, mixed media on paper, cut paper paper, 4 sections 160 x 300cm. 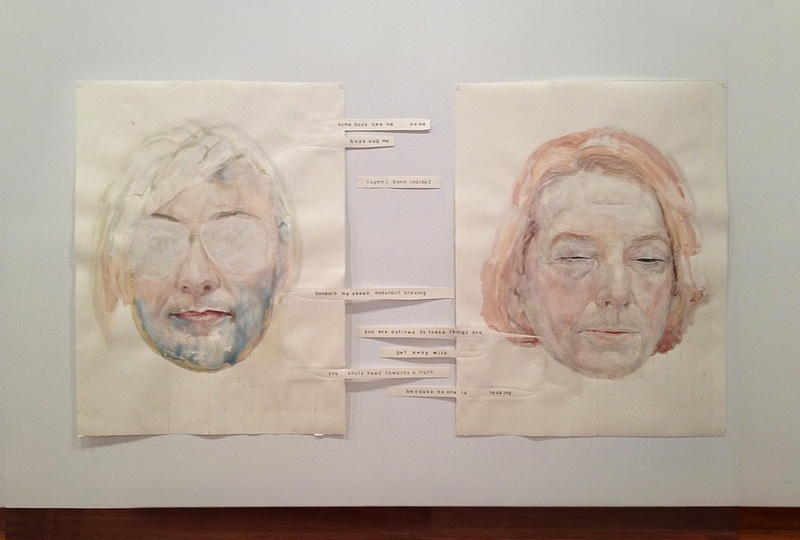 Installation view ‘Basil Sellers Prize’, Ian Potter Museum of Art, Melbourne, 2012.